I’m going to start with my favorite dog training whistle. Also, I’ll give you my pick of the top three best dog whistles for training most pet dogs. We’ll look at how dog whistles work and the different types of whistle available. After all, what suits me might not suit you. You’ll also discover how whistles are used in different situations. I’ll show you some basic whistle commands that you can teach your dog. We’ll also look at the most important whistle command of all – teaching your dog to recall to a whistle. Let’s look at my top three first. Then we’ll look at some of the alternatives further down. The Acme 210.5 is my favorite dog training whistle. This is the whistle I am never without. I have several in my car, one in my dog walking bag and others in various jacket pockets. It is small, light, and incredibly tough. Designed originally for working gun dogs, the Acme 210.5 is used by working and competitive gun dogs at championship level. Now it’s even popular with the wider public. At one time only available in black, it’s now offered in a range of different colors. This is a consistent, moderately powerful whistle. It is fairly high pitched but still easy for the humans in your dog’s life to hear. Easy for dogs to hear at distances of up to several hundred yards, the Acme 211.5 is popular with retriever trainers throughout Britain and Europe. The whistle is now widely available in the USA and elsewhere. Like the 210.5, it is also becoming popular with pet dog owners too. I love the orange because it’s so easy to find if you drop it on the ground! The Acme 212 dog whistle also has a consistent frequency – in this case 5050 hertz. It’s a little more unusual in the USA but you can find it on Amazon in either black or orange. The first thing you’ll notice is that these whistles are all made by one company (I really should have shares in these guys!) Acme is British dog training whistle manufacturer who sell their whistles worldwide. All these Acme whistles are made from extremely robust hard plastic. Mine last for years (or until I lose them!) I recommend the bright colors if you are prone to losing things too! I like the soft fabric ones, but the leather lanyards look pretty cool. Okay, so those are my favorite whistles, but there are of course many other good quality whistles on the market. We’ll look at some of those in a moment. First, let’s take a closer look at what whistles can actually do for you and your dog. What does a dog whistle do? A dog whistle is a cue. In the old days we used to talk about ‘commands’ but most dog trainers use the word ‘cue’ now, and in many ways it’s a better word. A cue tells the dog that it’s time to perform an action. 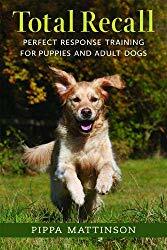 If the dog has been trained to respond to the cue, then every time he hears that cue, he will carry out the required response. A trained response is an action that the dog carries out automatically, without stopping to think. He does this each time he hears the cue. In this case the sound of someone blowing that whistle. That’s the theory anyway – now let’s find out if dog whistles really work! The sound of a dog training whistle isn’t automatically a cue. You sometimes see comments in the Amazon dog whistle reviews saying that a particular whistle ‘doesn’t work’. Some of you may be surprised to know that many dogs are not interested in the sound that any dog whistle makes. They certainly don’t run towards the person blowing it, at least, not to begin with. Although some dogs are initially curious about the sound of a new whistle, most are not, and any initial curiosity soon wears off. That doesn’t mean that the whistle doesn’t work however! The job of the whistle is to make a distinctive noise that you can teach your dog to respond to. If a dog whistle is making a noise that a dog can hear – then it’s working. The training part is then up to you. You’ll find that different dog whistles make different sounds. And to a great extent, the kind of whistle you need for your dog will depend on your personal preference. There is no inherent difference in the way that dogs of different sizes, or from different breeds, respond to the sound of the whistle. There are many different types of whistle. Some sound like the blast from a referee on a playing field. Then there are the different sounds that you can make with a whistle by changing the way that you blow yours. Some whistles make it easy to vary the sound that comes out of the end. Others are hard to modify. You just get one noise, and that’s your lot. Now let’s discover if your dog’s ability to hear his whistle is affected by the frequency of the sound that the whistle makes. It is often thought that high pitched whistles are easier for dogs to hear. But is that really true? It is true that dogs can hear higher sounds than we do. This doesn’t mean that these are the only frequencies dogs can hear. They can hear perfectly well in the middle of the frequency range too. In fact, they may hear these middle frequencies better in some cases. Hi pitch whistles are popular. It’s often thought that dogs can hear them further away than lower pitched whistles. Let’s find out what the scientist say. According to the laws of physics, lower sound frequencies actually travel further than higher frequencies. So if your dog is really far away, a lower pitched whistle might be clearer to him than the high pitched one. This is provided it falls within the range at which he can hear. Obviously if you have a whistle that can be blown harder and will make more decibels with its intensity, your dog will be able to hear it further away. Remember though, he is better equipped than you are to hear a quieter whistle. So, just because you can’t hear your whistle when a friend blows it at a hundred yards, doesn’t mean your dog won’t be able to. However, if you often have to call your dog from considerable distances, perhaps in windy conditions, then you may benefit from a really loud whistle. And one of the best whistles for that job is the Gonia whistle by SportDog. Gonia dog whistles are used by professional retriever field trailers throughout the USA. Their powerful lower frequency sound travels over great distances. The idea of getting your dog to come racing towards you with a silent whistle has some appeal to many of us. But the truth is, there is nothing especially beneficial to using a silent whistle. It won’t make your dog come faster, or from further away. Only training can do that. Some silent whistles, like this popular dog training whistle from Ortz are also marketed as a way to stop dogs barking. We’ll look at that below. While you are training your dog, it is really important that you can hear the whistle too. So if you buy a silent dog whistle, make sure it’s sufficiently adjustable for you to be able to hear it too. Just as you would say ‘sit’ clearly in the same tone of voice each time you ask your dog to sit, you should blow your whistle in the same way each time. It should have the same pitch. For that reason, you should ideally choose a dog training whistle that has a specific pitch. Make sure it can be replaced with another whistle with the exact same pitch if you lose your original whistle. Of course your dog can be taught to respond to a different whistle if you lose one and can’t get another the same. But why make things harder for yourself? When you start whistle training, your whistle is a new cue. The first step is to associate the whistle with the action you eventually want it to trigger. If you are teaching your dog to recall to a whistle and he already comes obediently to your voice, than all you need do is blow your whistle just before you give your verbal cue. Do this every time you call for several days and then gradually start to leave a slight gap before the verbal cue. 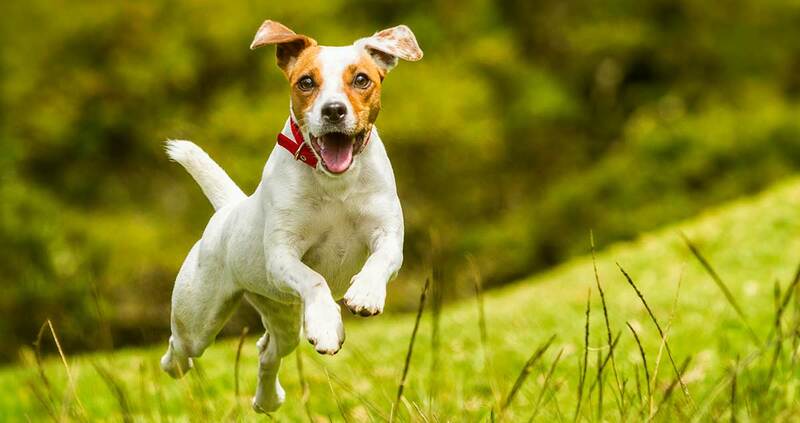 Your dog will soon anticipate the verbal cue and come racing to you for his reward. Make sure it is a good one. Once he does this regularly, you can drop the verbal cue. Remember that dogs need to learn to obey a cue in different situations. They don’t automatically understand that a cue (in this case your new whistle) applies on the beach as well as in your back yard. So you need to train for this. Dog whistle to stop barking? Some people are buying whistles to stop dogs from barking. Getting a dog to stop barking when you blow a whistle is something you’d need to train for. It’s just like teaching a dog to come or sit. Most dogs won’t stop barking just because someone blows a whistle nearby. If you have a problem with barking you can read up on the topic on The Happy Puppy Site. Your dog can hear at higher frequencies and lower intensities than you can. Most dog whistles are loud enough and travel far enough for most pet dog training purposes. This means that you can safely choose your dog training whistle based on personal preference and other important features. Durability, cost, ease of use and consistency of sound are key. Consistency of sound is probably the single most important feature of any good dog training whistle. Just like any other cue, you need to train your dog to respond to a whistle. Checkout my detailed recall training guide over on the Labrador Site for more information. Are you having fun whistle training your dog? Let us know in the comments! Warfield D. The study of hearing in animals. In: W Gay, ed., Methods of Animal Experimentation, IV. Academic Press, London, 1973.